AURORA, Ill. (WLS) -- Police are looking for the person who attacked a 69-year-old woman three separate times early Saturday morning in southwest suburban Aurora. 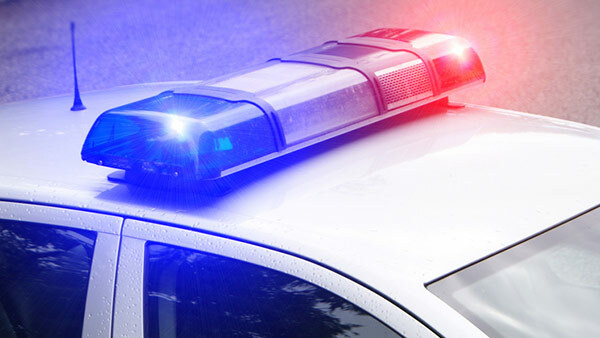 The victim was out for her usual morning walk between 5:50 a.m. and 6:01 a.m. near Rural and Ohio streets when someone approached her from behind and demanded her valuables, police said. When she told him she didn't have any, he allegedly pushed her to the ground, kicked her in the face and ran off. After a few minutes, police said the suspect came back and battered her again, before running away a second time. The woman managed to cross the street, knock on a door in the 600-block of Ohio and ask for help. No one answered. That's when police said the suspect returned yet again, attacking the woman a third time, before running north on Ohio. The victim walked to the 900-block of Mountain Street and knocked on a door to ask for help. This time, someone was home and called 911 for her. The woman refused transport to the hospital, but paramedics checked her out at the scene, police said. She described the suspect to police as a black male around 20 years old. He was about 5 ft. 1 in. tall and weighed around 150 pounds. No one is in custody. Anyone with information about the incident should call Aurora police at 630-256-5500, submit tips using the "My PD" app or call Aurora Crime Stoppers at 630-892-1000. Crime Stoppers callers may remain anonymous and any information that leads to an arrest may qualify for a reward of up to $5,000.